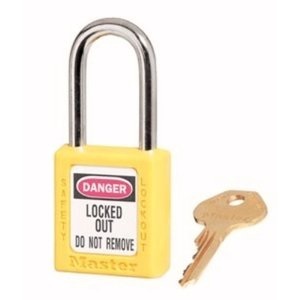 Compliance with OSHA “One employee, one lock, one key” directive to ensure duplicate keys are not issued. 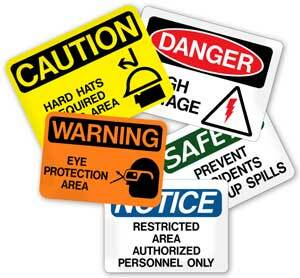 Permanent write-on labels for individual markings. Key retaining design ensure padlock is not left unlocked. 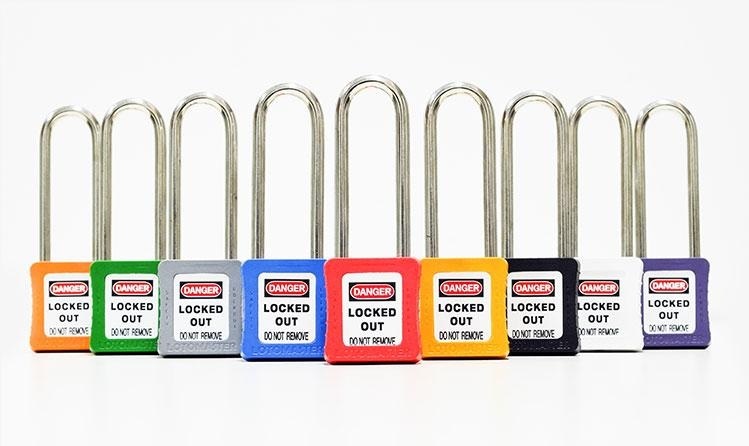 6-pin precision machined keys for extra security. Shackle length: 40mm regular Stainless Steel shackles for protection against harsh corrosive / offshore environments. Customized your system with choice of 9 bright colors of Red, Yellow, Blue, green, Orange, Violet, Black, Brown & White. 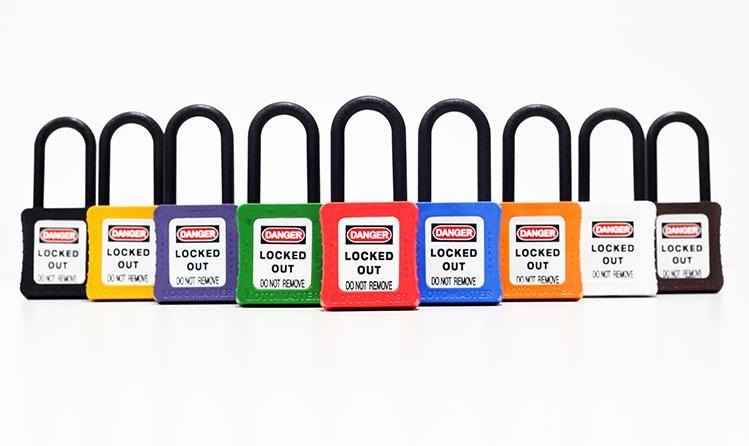 Shackle length: 75mm Long Shackle Stainless Steel shackles for protection against harsh corrosive / offshore environments. 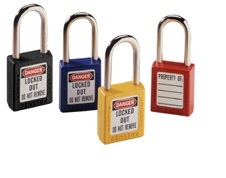 Ideal for use in industrial lockout/tagout applications. Its special Xenoy body makes it both lightweight and tough under pressure. 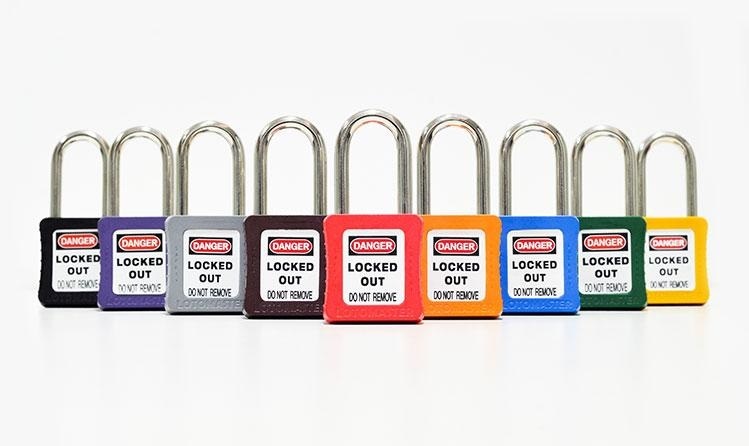 Each lock comes with English, Spanish, and French identification labels and is available in a variety of colors. 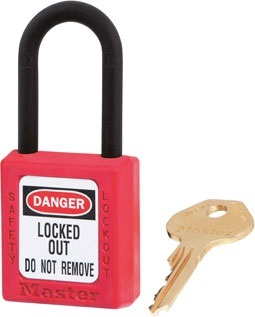 Safety padlock made of lightweight Xenoy plastic, with a plastic shackle. 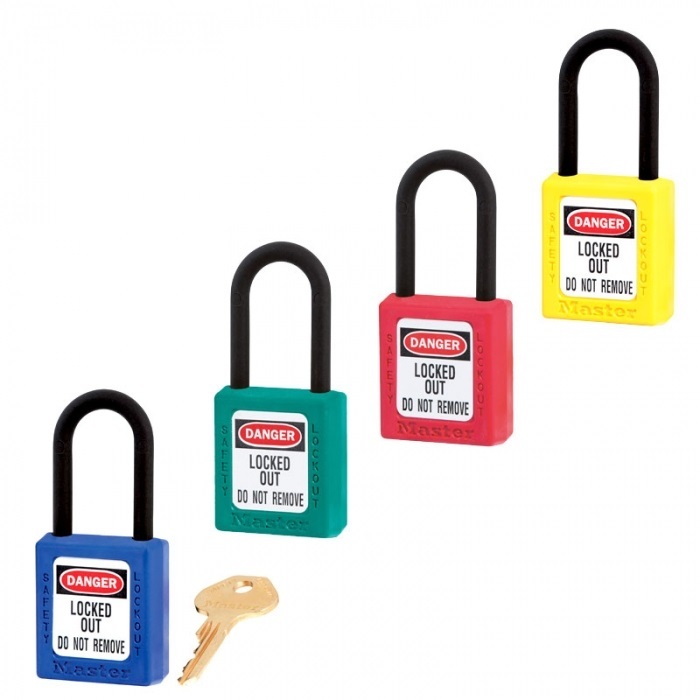 Unique non-magnetic cylinder with over 40,000 key codes.